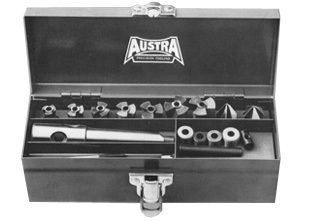 Austra Precision Tooling was established in 1975 and has been made in Emu Plains, NSW by AGM Engineering since 1995. This range of tooling is available through all major industrial suppliers. The Austra Precision Tooling range consists of 4 flute countersinks, supercounterbores, drill routers, live centres and steel parallels. We can also quote special sizes. 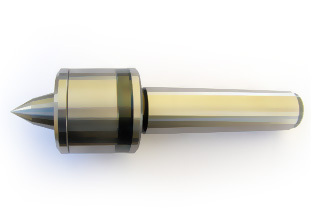 We are pleased to announce that the Multi-cut counterbore is now available as a stock product. 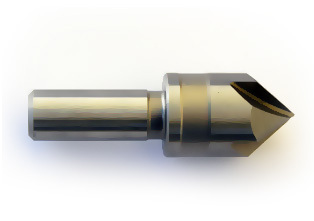 Specially designed for sinking countersunk head screws, rivets general chamfering and de-burring. 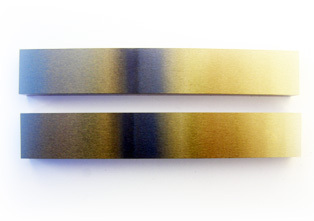 Smooth balanced cut in any material, ferrous and non-ferrous. Cutters produce exact head diameter clearance for screws, rivets etc. All necessary angles available: 60,82,90,100 and 120 degrees. These cutters feature two-lipped cutting action and integral pilot. Made from high speed steel they are specially designed for socket cap screws. 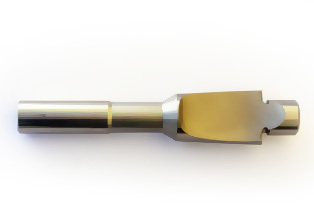 Smooth and chatter-free, designed chip clearance allows unlimited depth of cut. Cuts both steel and non-ferrous metals. Cutter diameter maintained and tool life increased due to wide cylindrical land. Available in sets with timber stand or individually packed. Drill routers are designed for very fast drilling, opening out or elongating holes in thin materials Drill routers are suitable for use in steel, brass, aluminium or synthetic materials eg, PVC, Perspex, or fibreglass. The cutter has a tapered flute specially designed to give a smooth cutting action for chatter-free holes without deforming or leaving difficult burrs. Made from high speed steel, the drill router can be run at high speeds except for steel materials where a max. speed of 200-450rpm approx. is recommended. A cutting coolant is desirable when machining steel or the harder non-ferrous materials. Our live centres are designed for heavy-duty work. 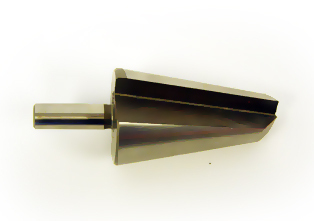 The alloy tool steel hardened and ground centre features a double taper nose for max. tool clearance. The arrangement of the specially selected precision bearings are designed to withstand maximum radial and axial thrust. Workshop Grade B – superfine accuracy at a reasonable cost. Supplied as pairs, in a timber box, these parallels have unlimited use in tool-room and production shops – both for job set up and job inspection. These parallels are heat-treated and finish ground to BS906-1940, 1972 Part 1. These counterbores have multiple pilot and cutter combinations that allow any size counterbore to be achieved. This flexibility continues as all components can be ordered individually to suit any job. Boxed sets- with selected pilot bushes and cutters are also available, these sets are recommended for protection against loss or damage when not in use. 2MT Holder, Nut, Drift, Solid Pilots: 5/16', 3/8", 7/16", Pilot Bush Screw, Pilot Bushes: ½", 9/16", 5/8", 11/16", Cutters: ½", 5/8", 11/16", ¾", 7/8",15/16", 1", Countersinks: ¾ x 60deg, ¾ x90 deg.